Regardless of how you see the John Terry issue, there is little doubt that nobody has come out of this whole situation looking good. Despite being cleared in a court of law, John Terry’s reputation has been, potentially, irreparably damaged, Anton Ferdinand has received criticism for his comments on the pitch and the FA has been criticised in many quarters for their handling of the whole situation. 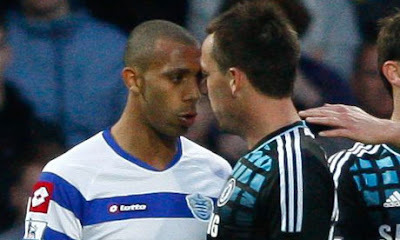 John Terry did not racially abuse Anton Ferdinand. A court of law found that it could not be proven beyond reasonable doubt that Terry did racially abuse Ferdinand. At its heart, this was a case that nobody saw or heard. Anton Ferdinand did not hear the supposed racial insult at the time. 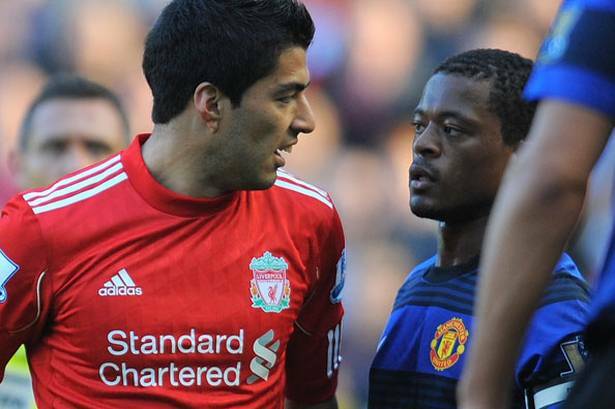 No other player or official near the pair heard the supposed racial insult. The only ‘proof’ that we have is from lip-readers attempting to decipher a video afterwards. There has been plenty written and said about how Ferdinand would react or feel had he heard what was supposedly said. It is all hypothetical – how can we imagine how he might have feel in the situation where he might have heard what Terry might have said? There is a lot of supposition in that question. Regardless, I am not suggesting that John Terry did not say those things that he is accused of saying. Similarly, I am not suggesting that he did. There has been enough discussion of that angle over the past year. Instead, I want to look at the FA disciplinary process and how that was carried out. The case was heard by an independent tribunal. In other words, it was carried out independently from the FA. Or at least, that is what they would like people to believe. One of the members of the independent tribunal was Maurice Armstrong, an FA vice-president. Somehow he doesn’t entirely seem independent, but let us move on. Stuart Ripley, the former Middlesbrough winger was another member, taken from an independent panel. However, he is also on the payroll of the FA for other duties that he carries out. The issue of independence must be questioned. Over the past few years, many clubs and managers have become very frustrated at the FA disciplinary process – a process that has seen over 99.5% of those charged found guilty. Either the FA is incredibly meticulous about those that they send in front of the panel, or their influence means that they are acting as judge, jury and executioner. Two years ago, a survey of professional clubs found that 89% of those clubs had lost faith in the FA disciplinary process. When the relations between the clubs and the FA disciplinary board have deteriorated to such an extent, it seems beyond repair. The Ashley Cole angle in this situation merely continues to paint the FA in a bad light. 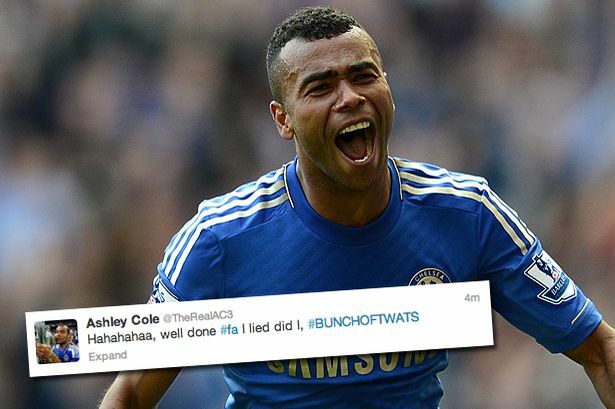 John Terry and Ashley Cole were both interviewed at Chelsea’s training ground on the same day by the FA – Terry’s interview was recorded on tape, while Ashley Cole’s was not. Hence, the debate about whether Cole changed his version of events. While Cole was wrong to react in the way that he did, if he feels that the FA are wrongfully accusing him of being a liar, he does have a right to fight these claims. The most puzzling part of the whole case, though, is the punishment meted out by the FA – a four match ban and a £220k fine. However, they went to great lengths to emphasise that they do not think that John Terry is a racist. He is either guilty or not guilty of the charges brought against him. If he is found guilty of using a racist insult at Anton Ferdinand, then a four game ban seems a fairly poor punishment. Luis Suarez received eight games for his ‘negrito’ comment to Patrice Evra – a situation where there were plenty of cultural and linguistic arguments to take into consideration. Why was Luis Suarez deserving of a ban double the length of John Terry after being found guilty of the same offence? If he is not racist, he surely cannot have used the phrase that he was accused of saying in a racially insulting way. If that is the case, then why is he receiving a ban in the first place? People have suggested that while he was not using a racial insult, he should have been banned under the FA’s guidelines for foul and abusive language. A valid argument – there is no doubt that what was said by Terry falls under that description. However, if that is the case, then Anton Ferdinand should be banned for the exact same reasons. It seems as though the FA did not really believe that Terry had racially abused Anton Ferdinand, but were afraid of the public backlash that would inevitably have occurred if they had cleared Terry. So, they gave him a token four game ban and hoped that would be the end of the case. Instead, it has merely served to further reduce confidence in the whole FA disciplinary process. An interesting point to end this discussion though – in the same week that John Terry was banned for four matches after being found guilty of using racist language against Anton Ferdinand, a 14-year old boy was banned for five matches after giving his name to the referee as Santa Claus – two matches for being sent off, and an additional three matches for his childish sense of humour. So, next time a player thinks of joking with a referee, he should remember that he would be better off racially abusing him instead. Or at least that seems to be the message that the FA are giving out. The whole situation has been a complete farce and the FA has come out looking like a complete shambles. Wayne Rooney - Wasted Talent?